My tartan series continues, and this time feeling inspired by a slightly more rustic setting. 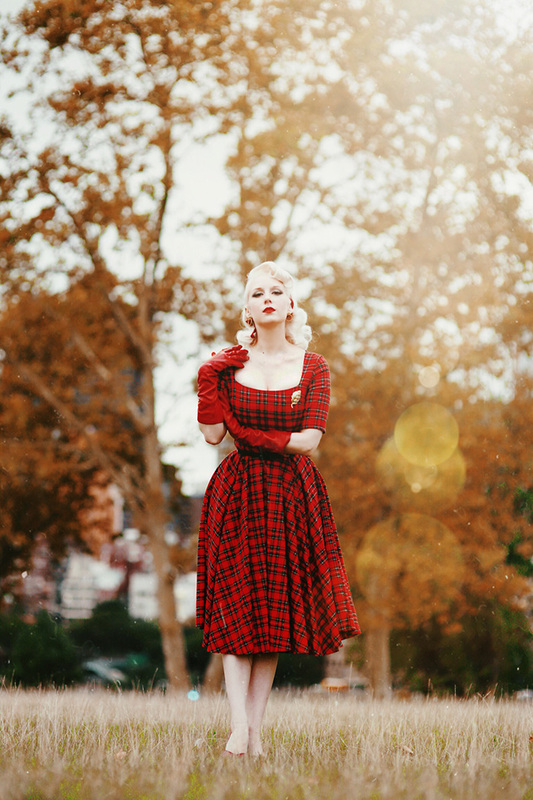 My vision was a combination of rolling hills of Ireland + American southern belle + classic 50's fashion. Plaid can be posh & dramatic for city life (like this post) or it can be beautifully charming in a more rural scene. While my previous post in The Pretty Dress Company implies an elegant & fancy evening out, I love today's Gigi Tartan for anything and everything, all day long. 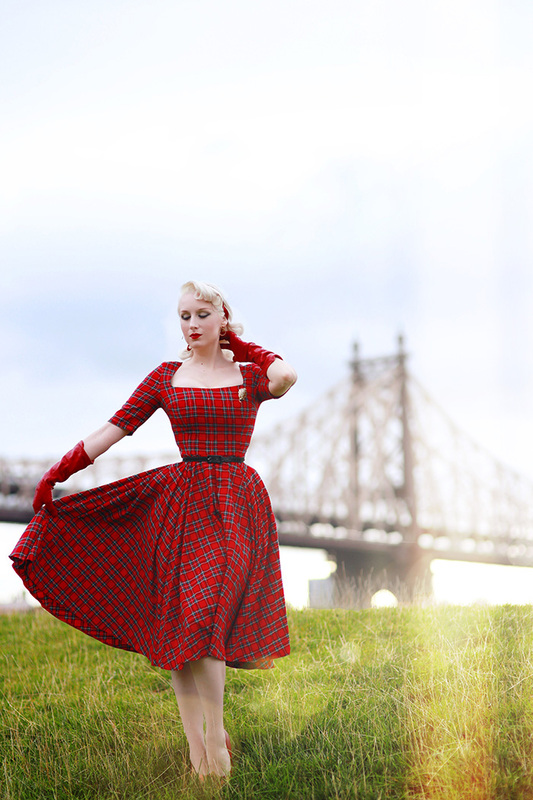 So please enjoy part 2 of my tartan series, one of my favorite fall prints... and hard to believe we are still in NYC!